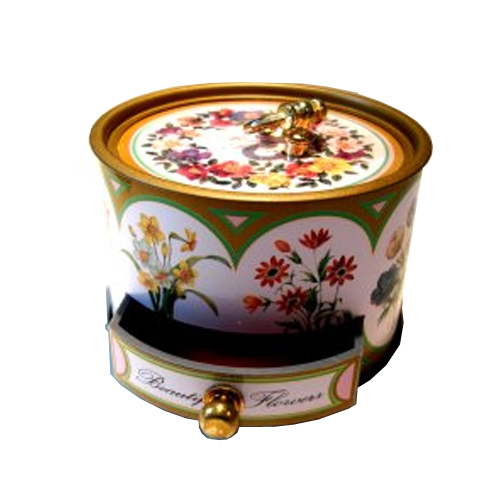 This sweet round musical keepsake box measures 3 1/2" diameter x 2 1/4" height. It's small pull-out drawer activates the music and will hold a ring or two, or a small pendant. It is presented in clear gift box and makes a lovely economical gift. Winds from the top and plays "April Showers!"